I have gone home with a wonderful woman and I am going to have a lot of bunny friends! I am back at the shelter, looking for a forever home this time. Do you have the love in your heart to help a shy and slightly frightened bunny come out of her shell and love again? I'll be waiting for you at Oakland Animal Services. Hello. My name is Zelda. I am a beautiful and shy girl who is looking for a peaceful, kind person to adopt me. I was neglected before I came to SaveABunny. As you can see when you look onto my eyes, I am still a little depressed. SaveABunny and the nice volunteers at Oakland Animal Shelter have shown me that people can be loving and good so I am beginning to trust and come out of my shell. It's almost hard for me to believe that my days of sadness are behind me and I am starting a fresh new life with all sorts of new beginnings, fun stuff to do, yummy fresh food and and people to love me. I am ready to give it a try and am looking for a quiet home with loving people to make my happily ever after story come true. I am waiting for you at the Oakland Animal Shelter, so no need to email or anything if you want to meet me, just come on down and visit! You can find directions and hours on our website. 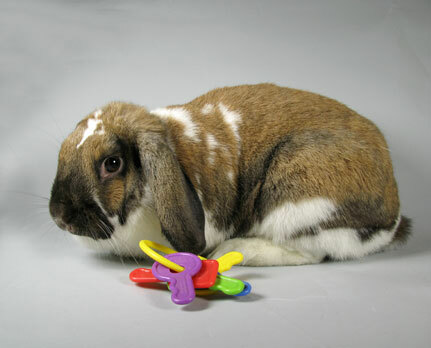 The adoption fee for a rabbit at OAS is $35.